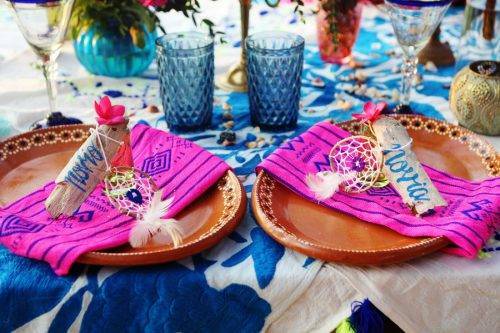 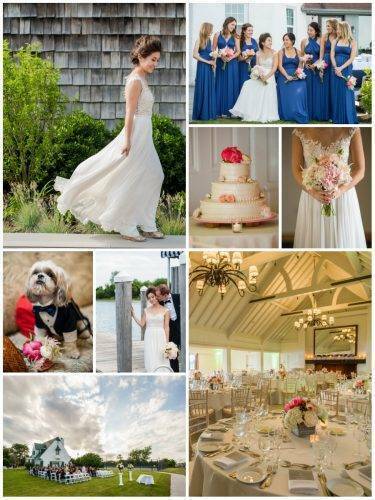 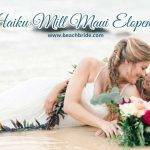 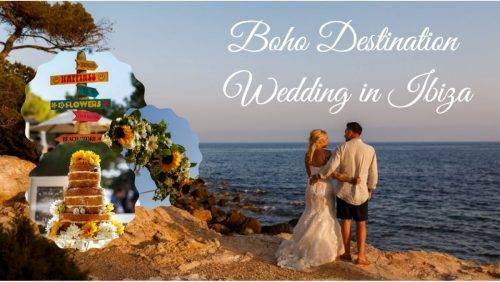 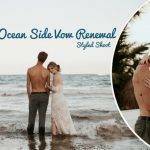 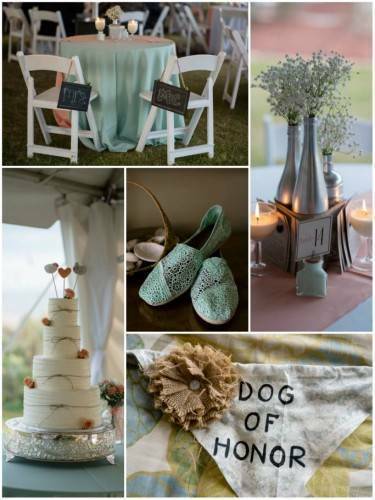 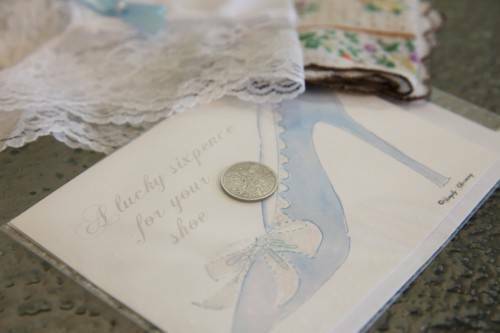 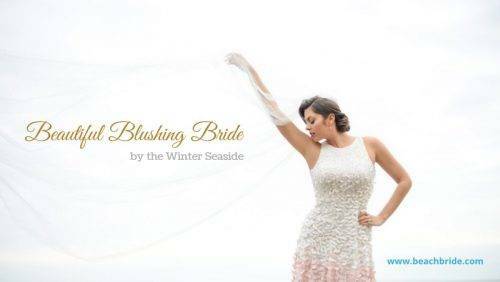 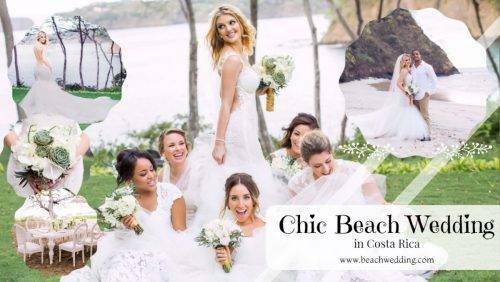 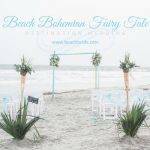 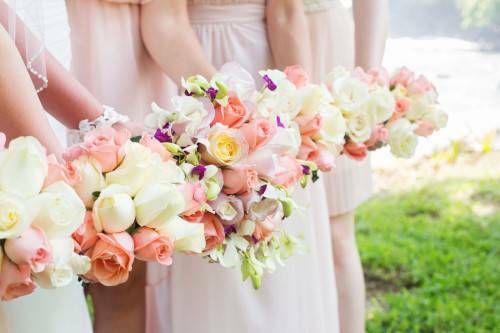 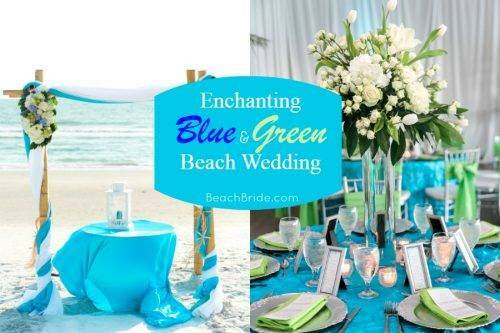 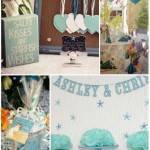 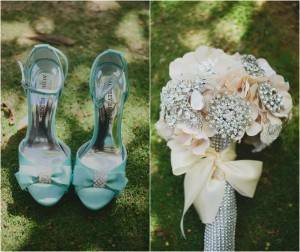 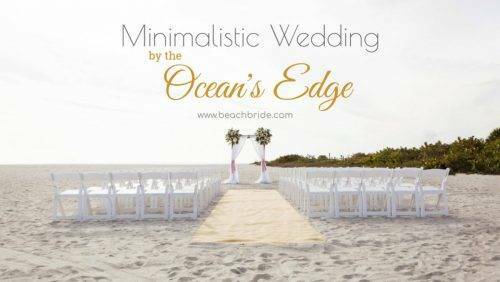 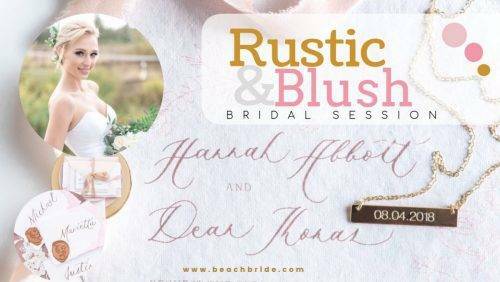 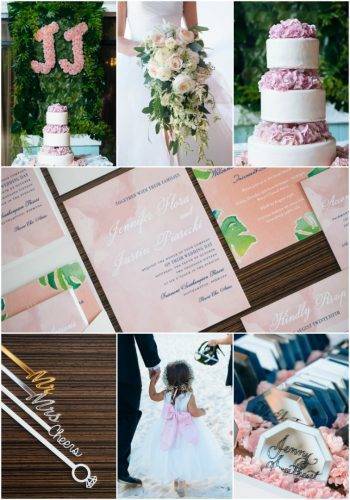 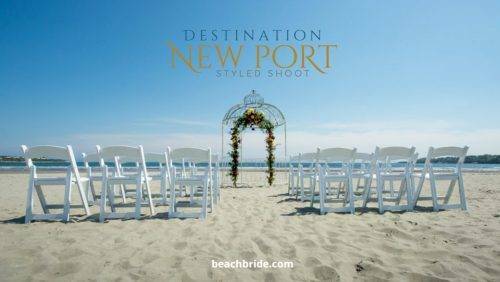 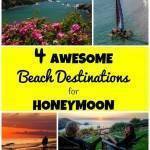 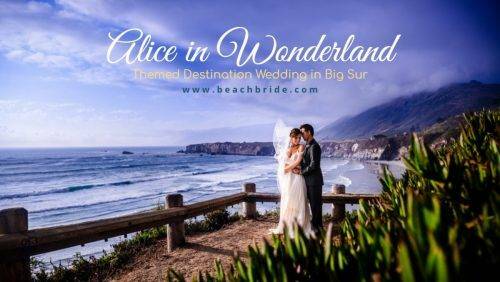 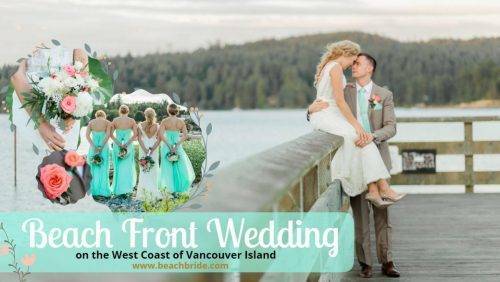 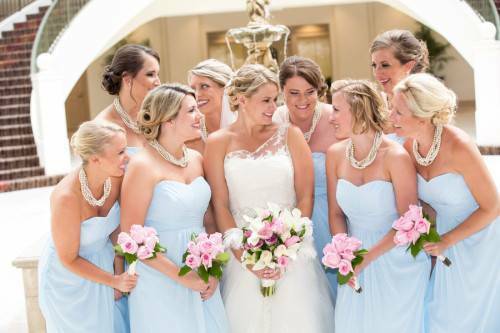 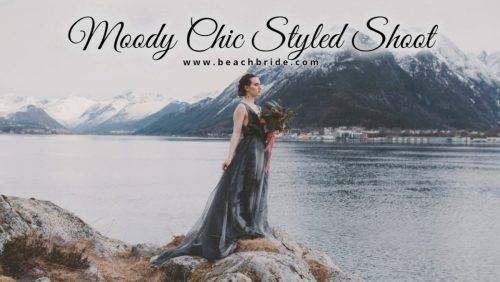 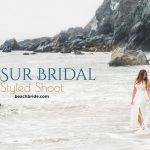 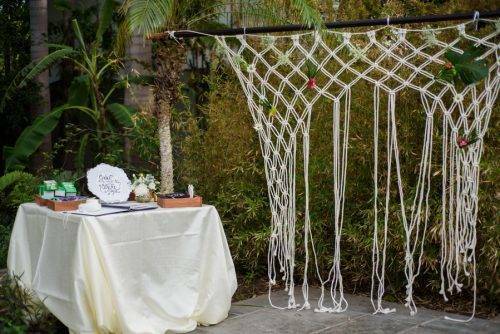 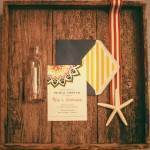 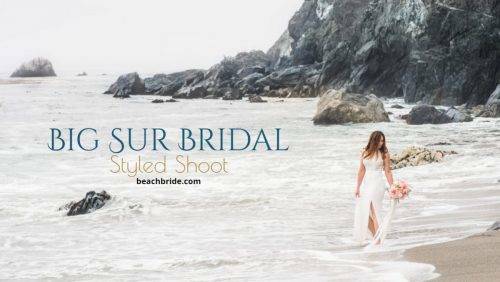 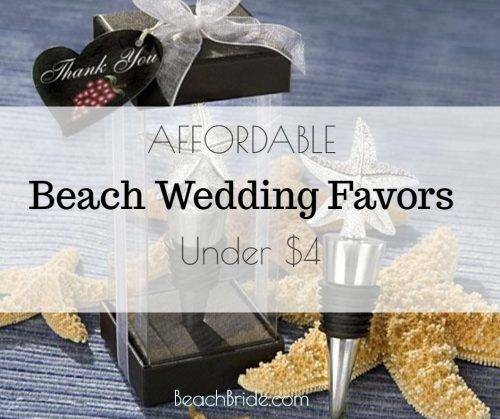 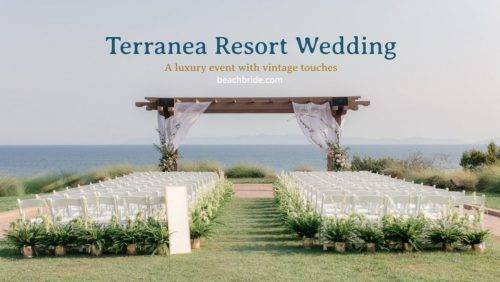 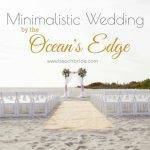 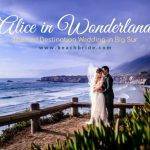 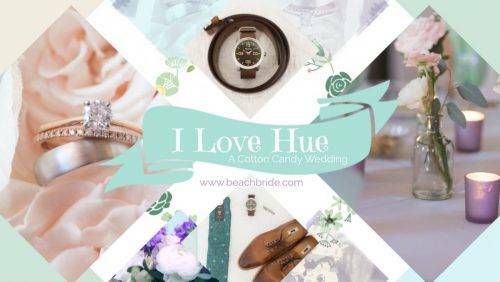 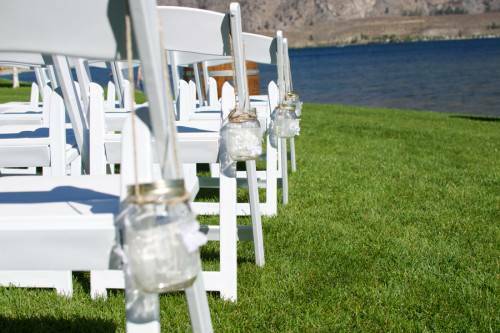 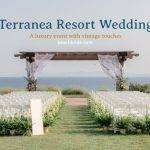 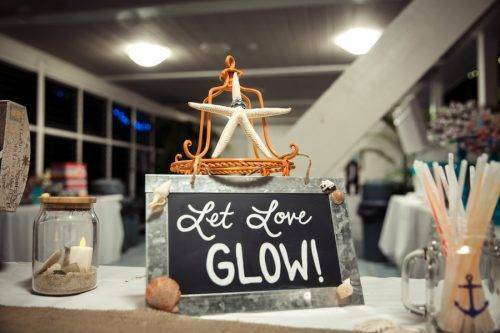 If you’re a bride-to-be who is planning a beach wedding, then this post is for you. 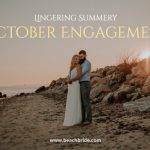 In most of the US, the temperatures are cooling down and winter is upon us. 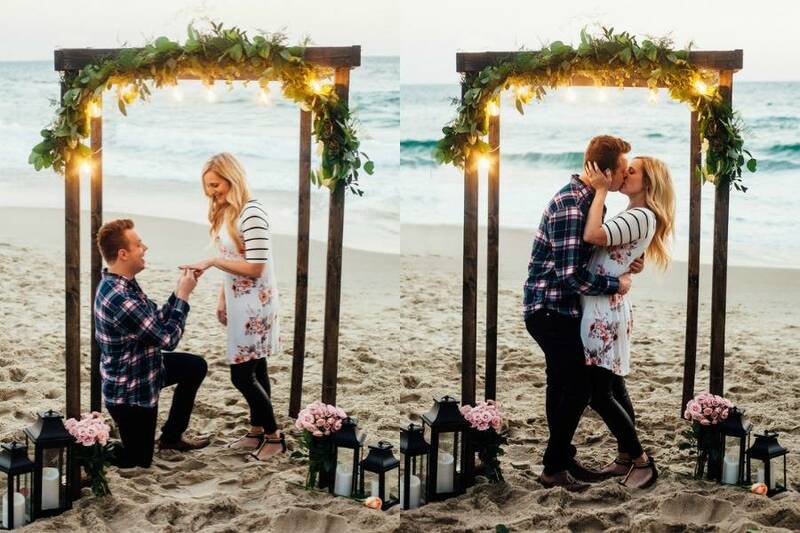 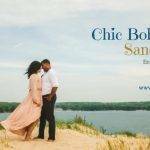 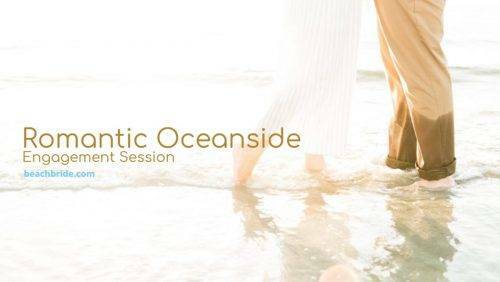 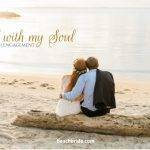 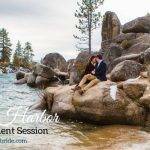 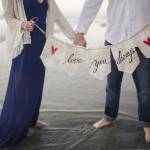 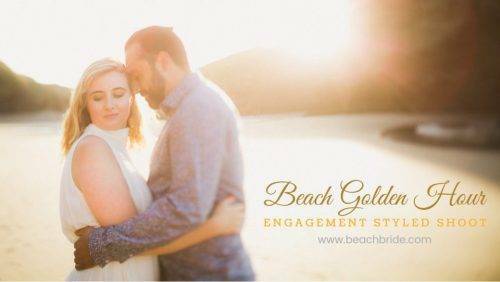 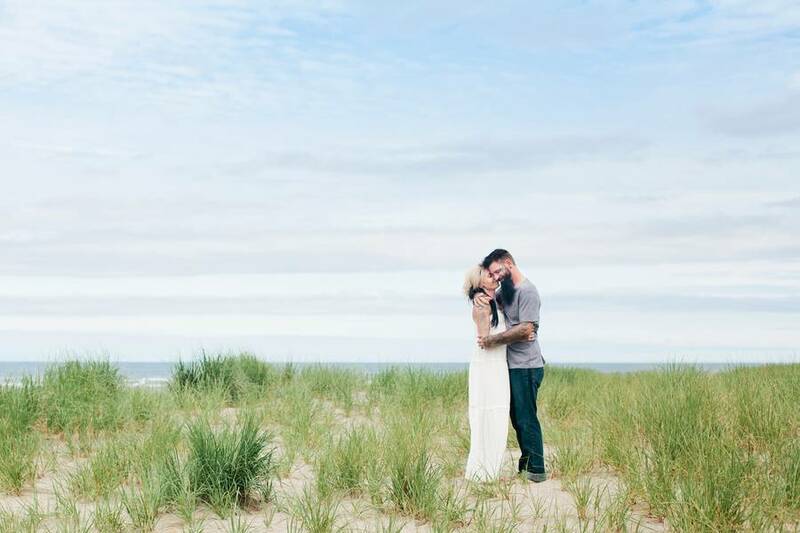 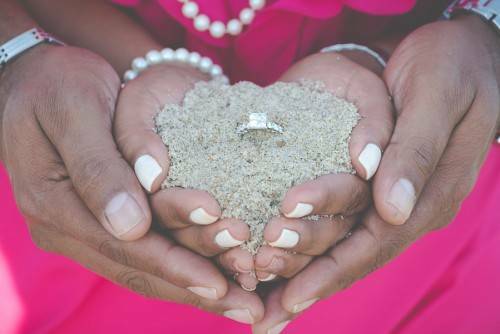 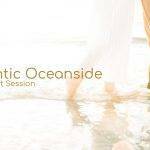 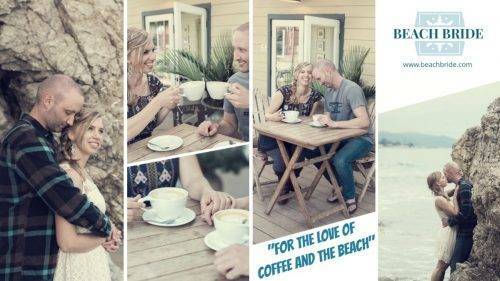 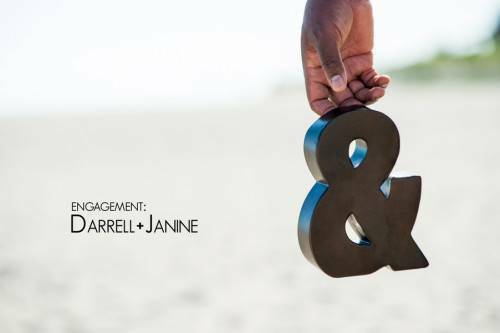 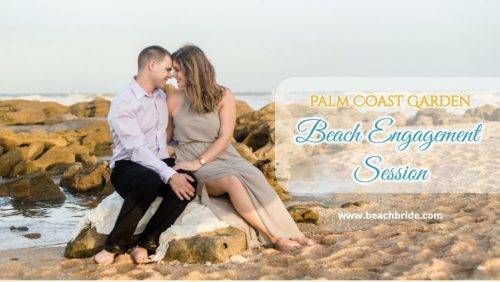 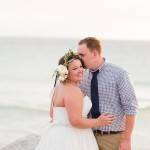 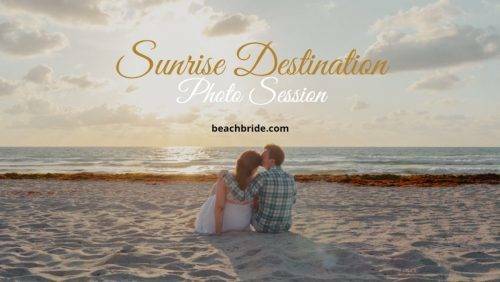 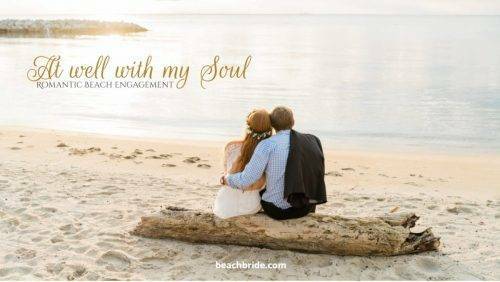 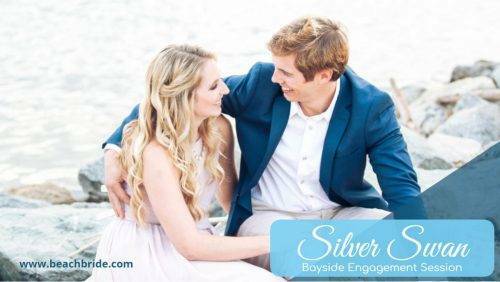 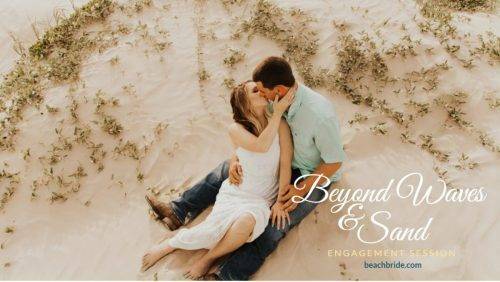 Feel toasty and warm with these amazing beach wedding and engagement photos! 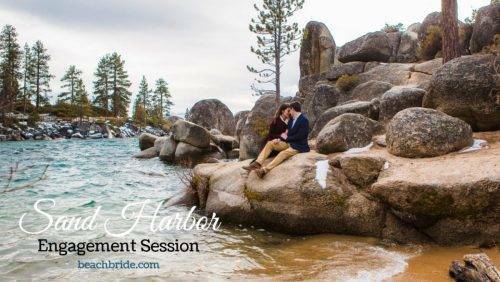 This beautiful couple is stealing a private moment on a bench in what seems to be a beautiful spot! 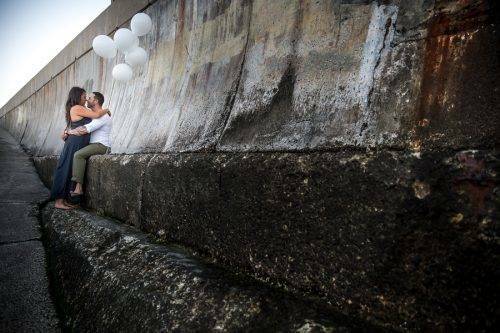 This is a fantastic picture that is romantic and a little bit edgy. 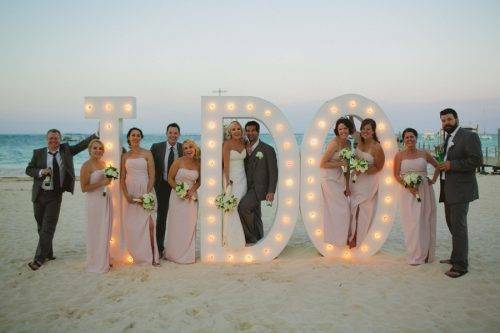 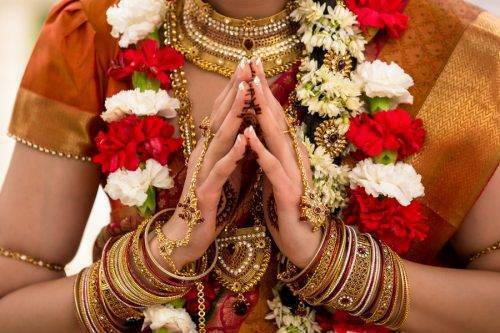 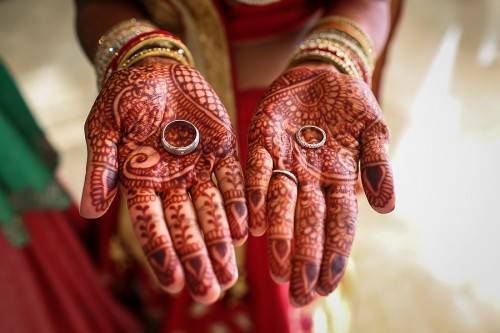 How ’bout this groom helping out her bride? 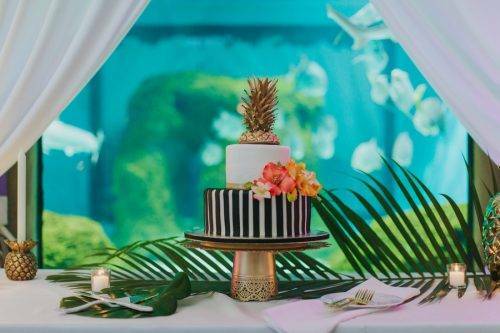 Sweet indeed! 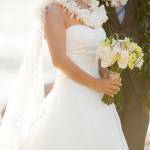 Talk about trashing your wedding dress! 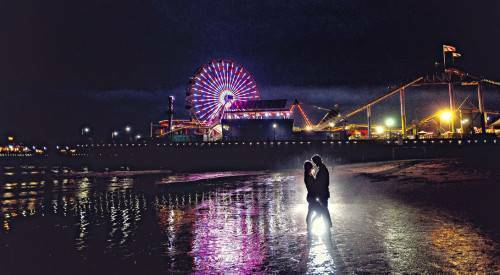 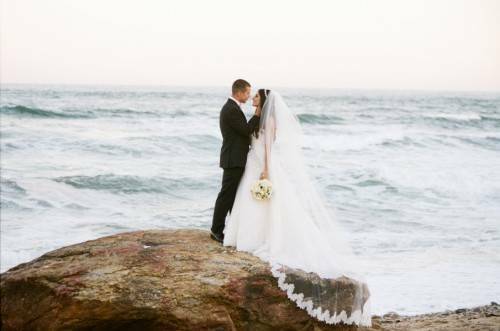 We love this intimate moment captured by this couple’s photographer – they don’t care that the waves are rushing over them or that they are soaked. 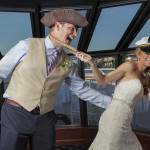 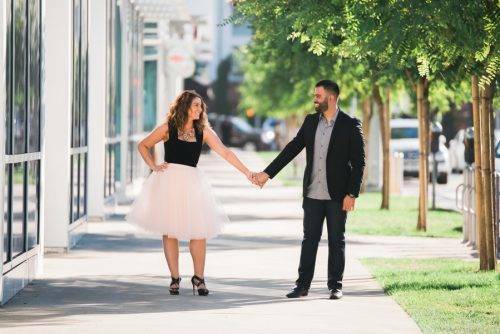 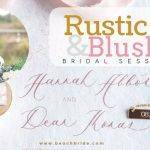 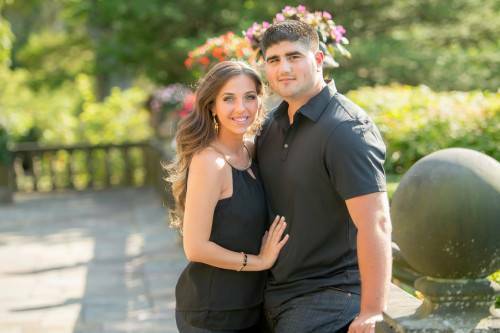 They are caught up in newlywed bliss! 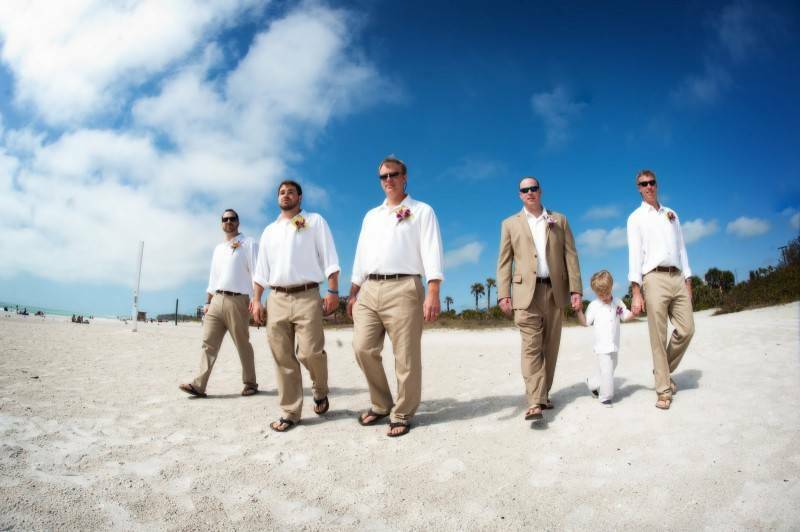 We absolutely love this picture of the groom and his groomsmen at this amazingly beautiful beach wedding. 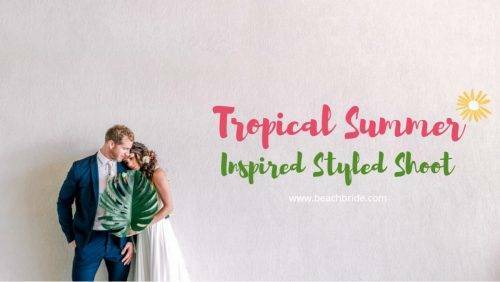 They look rather dapper in crisp white shirts and khakis, with perfect beach sandals! 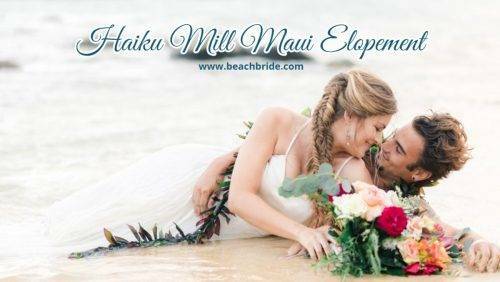 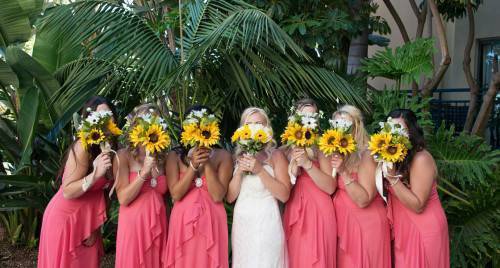 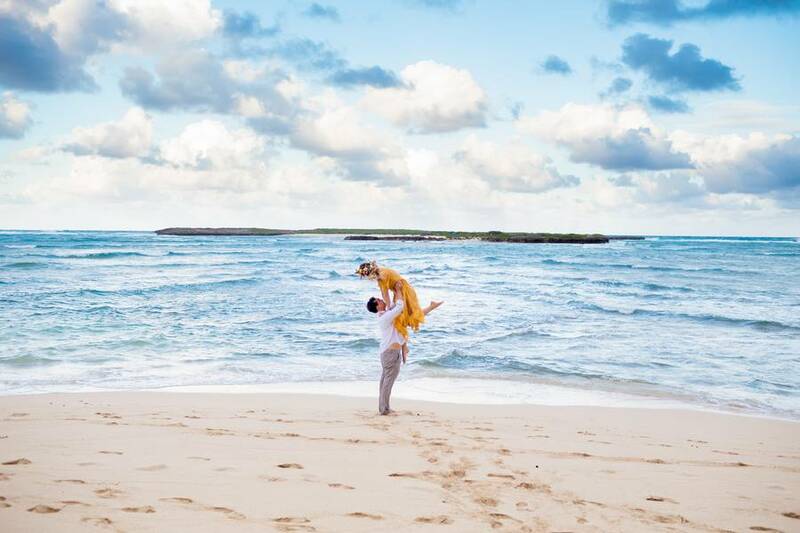 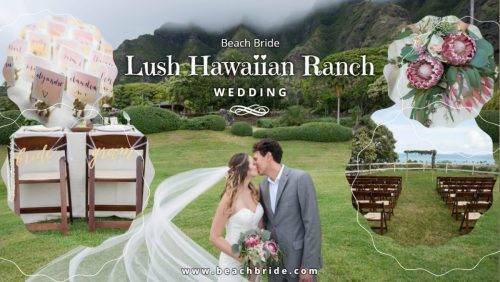 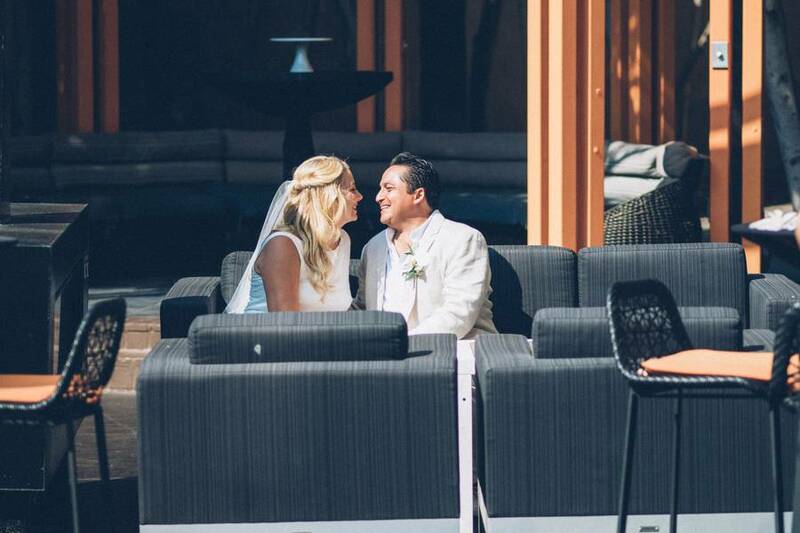 This bride and groom’s sunny Hawaiian wedding photo is magnificent. 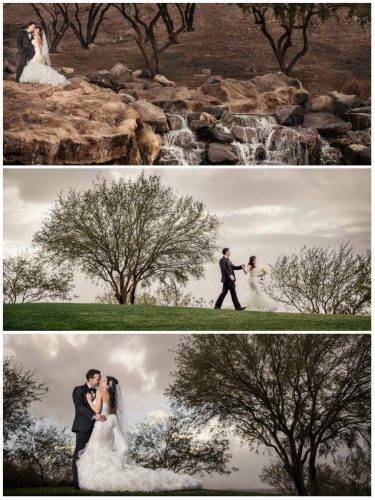 The photographer snapped what seems to be a candid shot of the happy couple just enjoying each other, and the background is simply breathtaking. 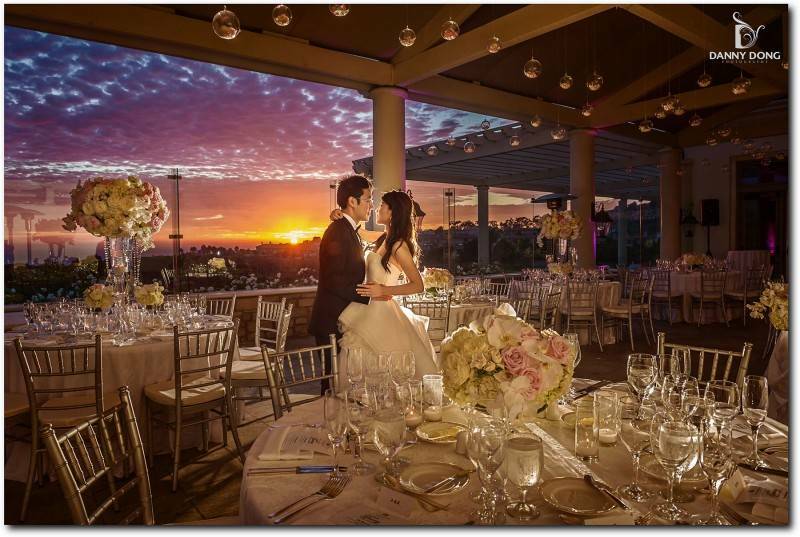 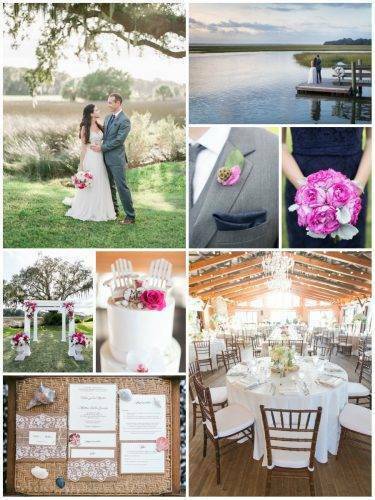 One of our favorite photos, this couple is stealing a moment among their reception tables. 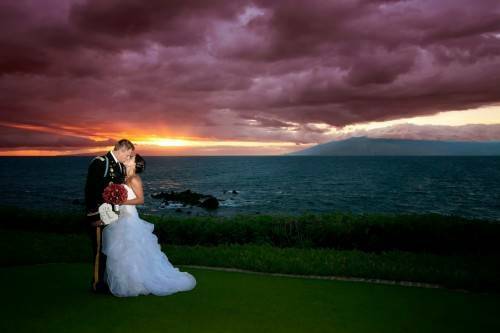 The amazing sunset shines in the background and the colors are incredibly vivid and beautiful. 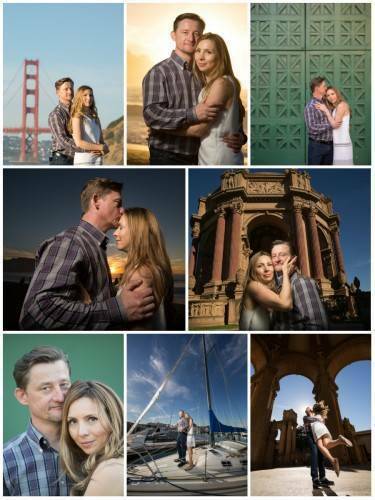 Kerry and Jim were full of fun and open to trying new things! 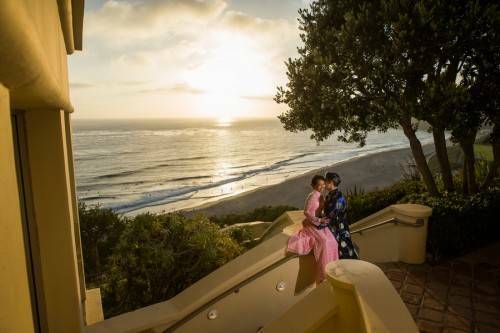 This was a shoot that they will remember for the rest of their lives and you’ll surely see in the pic why! 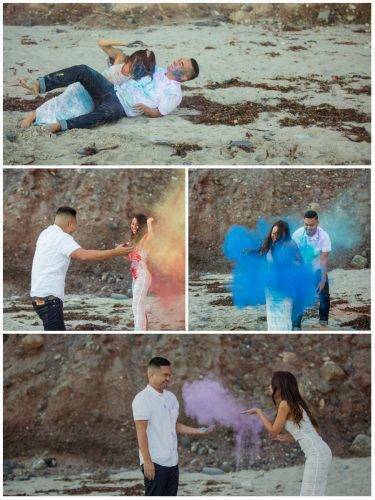 This couple took us by surprise. 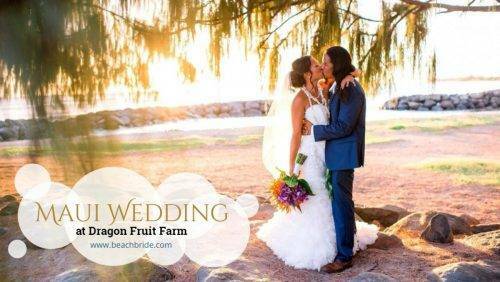 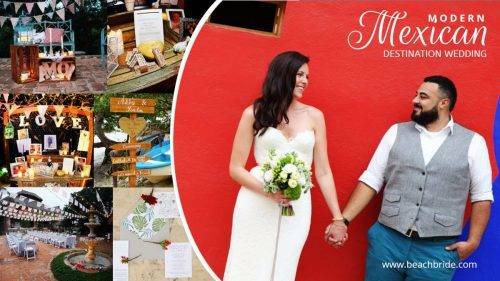 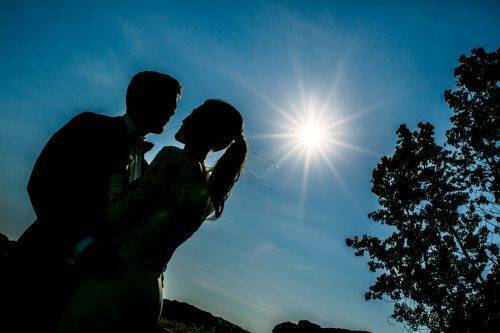 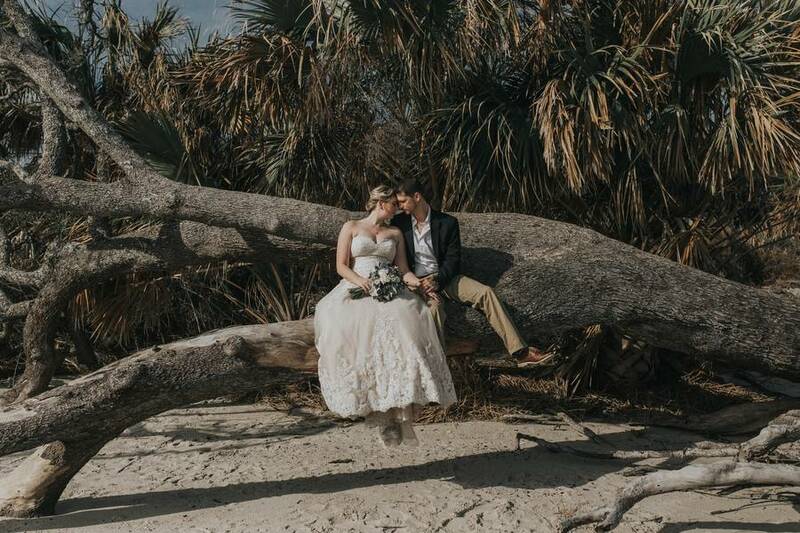 Who would have thought that dead trees and sun-dried palmeras would bring our a great wedding photo? 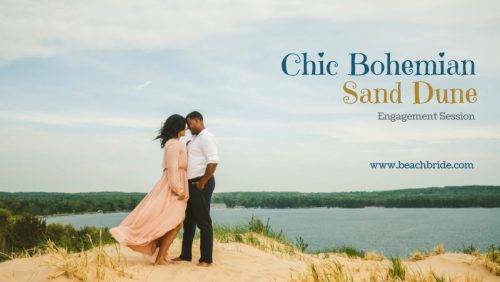 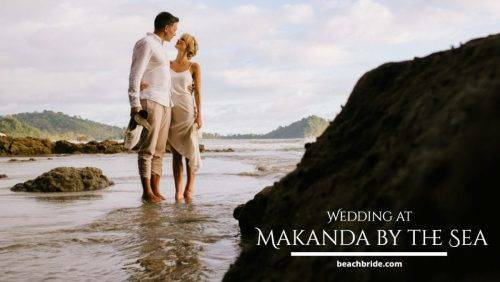 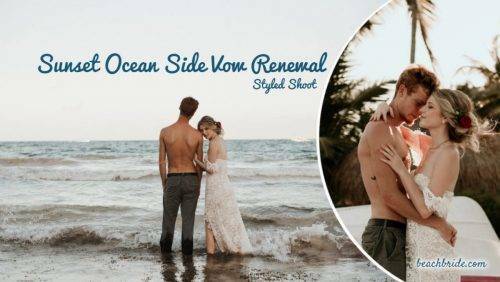 Contrast from their background, this couple proves that it only takes a romantic couple and the gorgeous beach to create a stunning wedding picture. 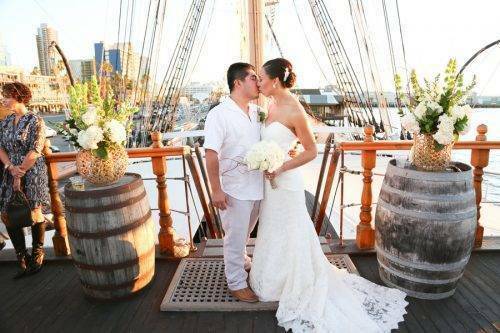 For the love of water and each other, what about a sail on the sea? 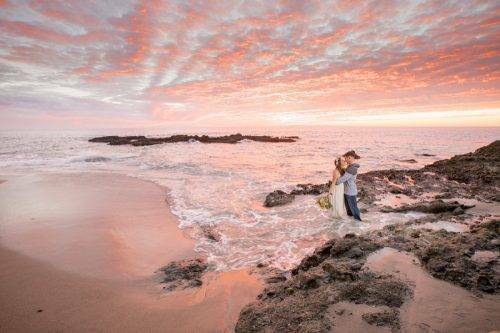 I could go for this all day! 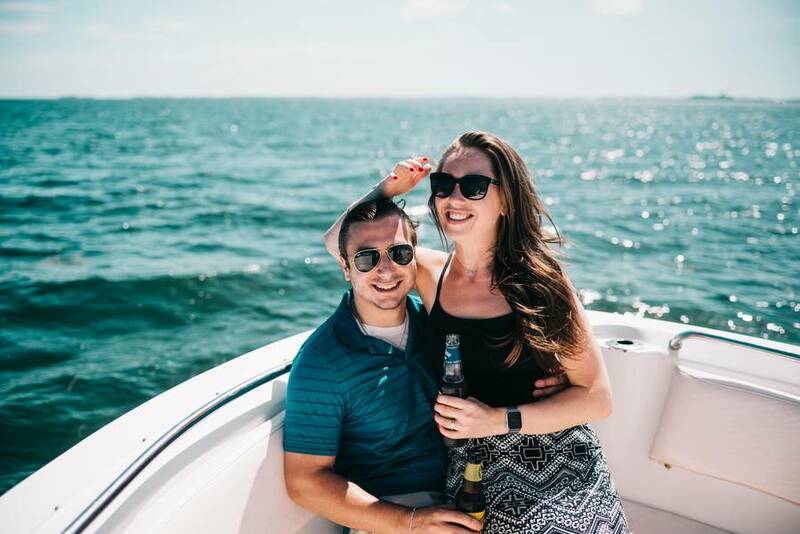 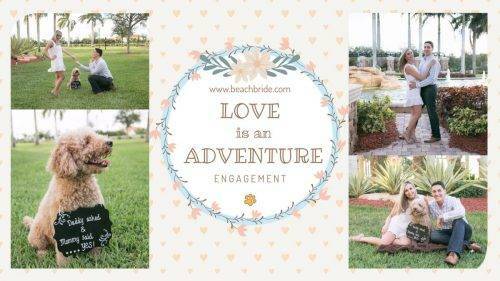 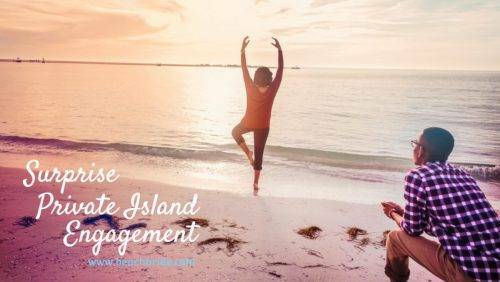 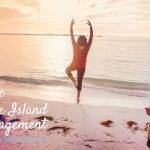 This was a proposal turned into touring a private island and dolphins! 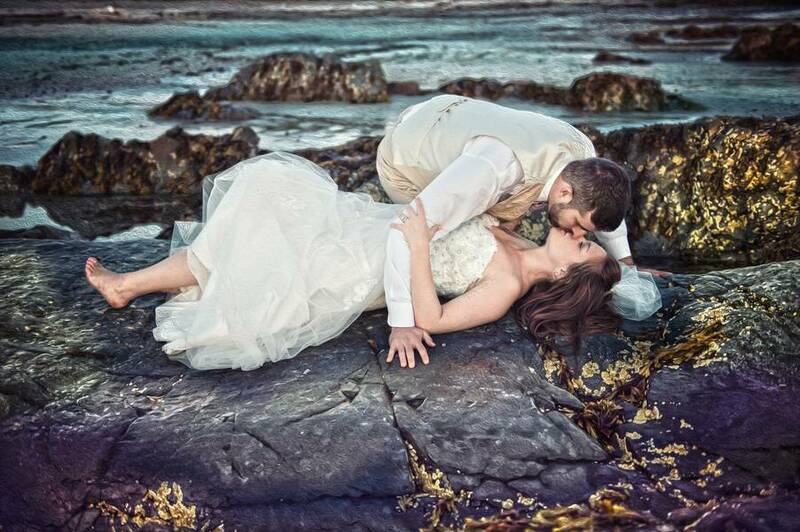 This romantic photo is taken across the coastline and captured the beauty of the scene. 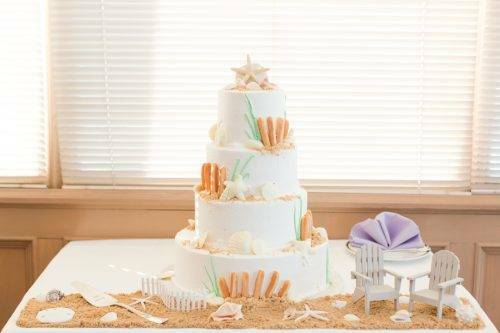 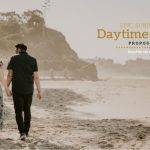 This couple shows how simple it would take to have a wonderful beach wedding. 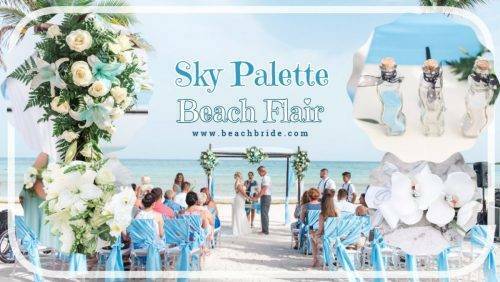 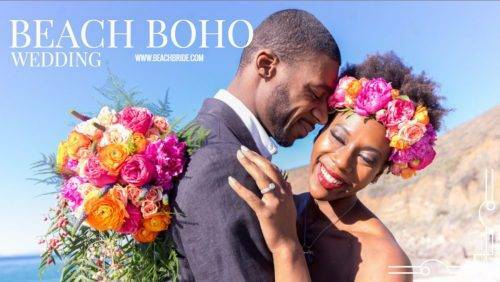 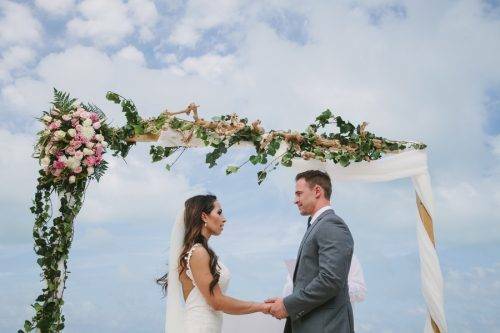 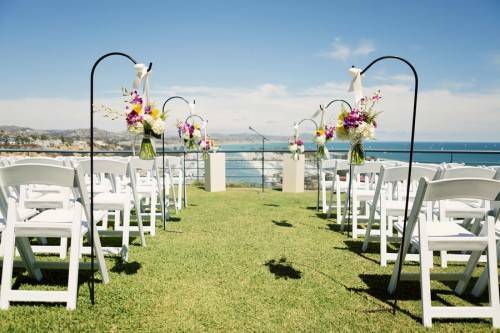 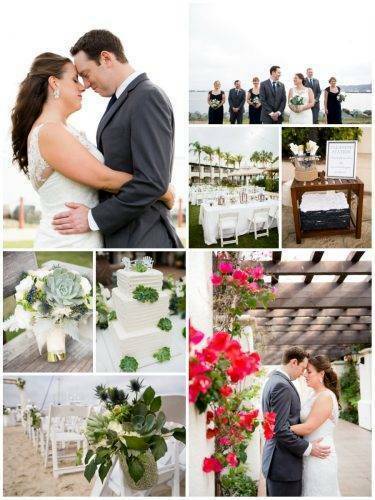 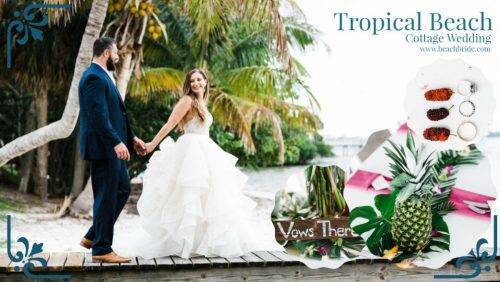 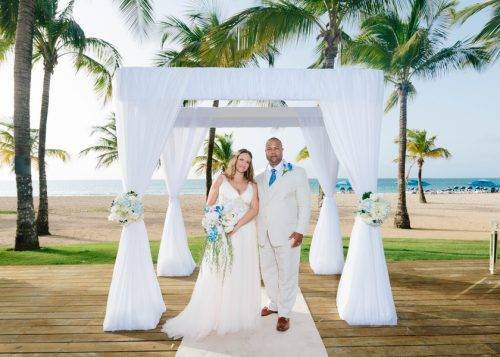 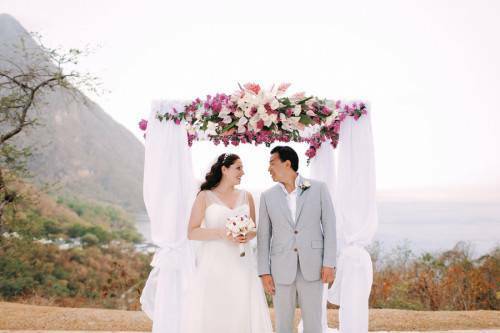 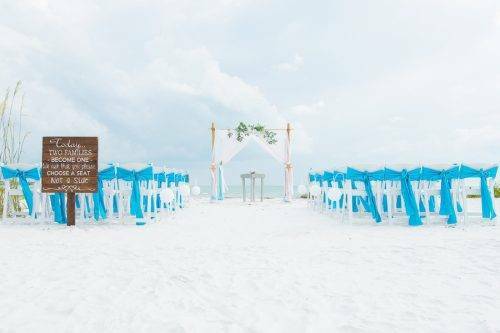 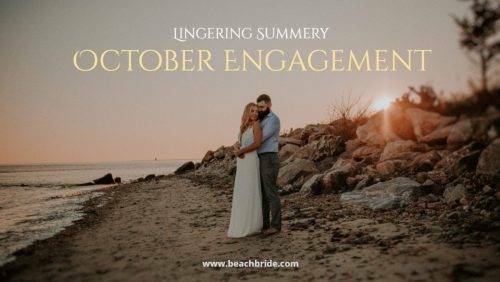 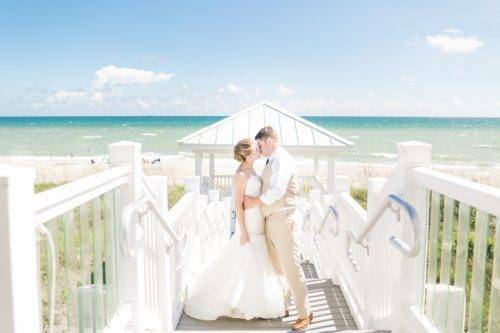 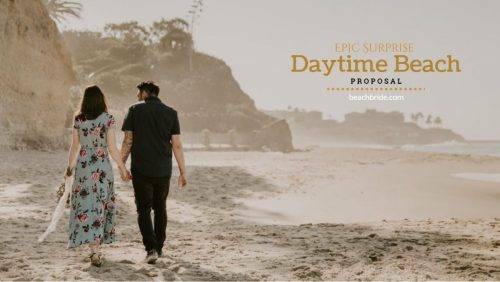 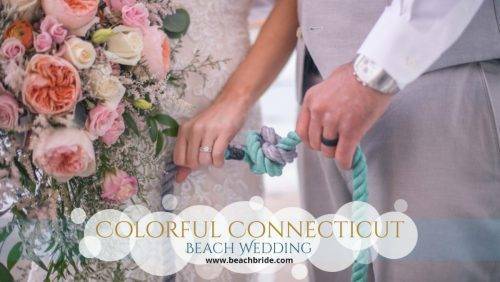 Complete with a lovely backdrop, white sand, a few black candle lanterns, two bouquets of pretty pink spray roses and quick thinking, Bryan nailed the sweetest beach front proposal! 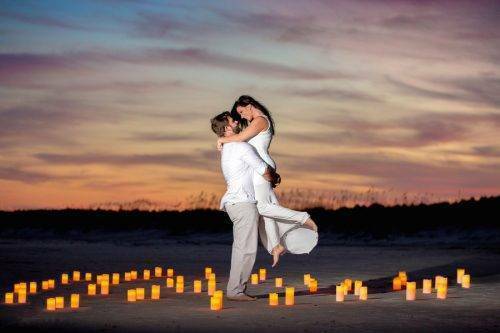 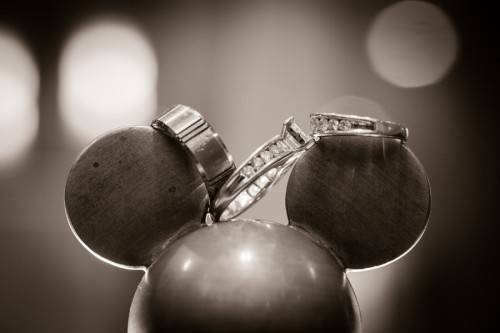 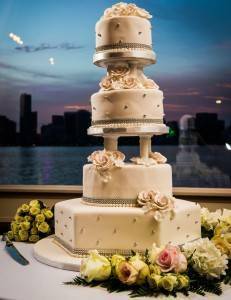 Nothing could beat this on the whim romantic setting! 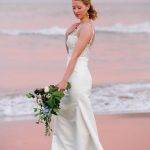 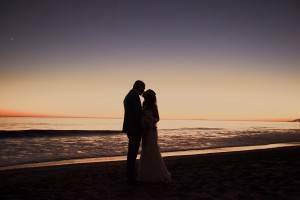 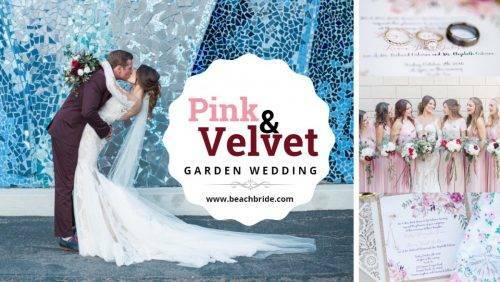 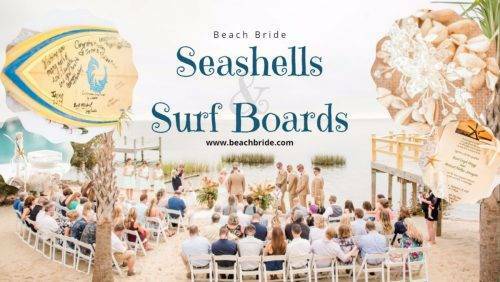 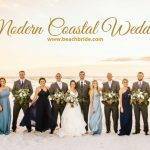 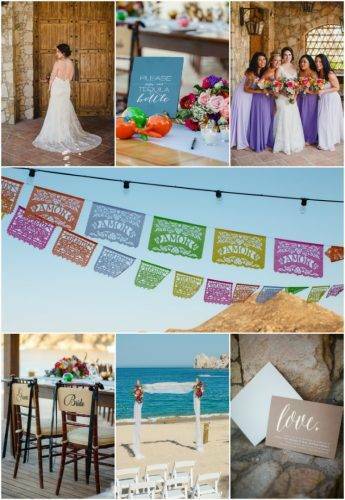 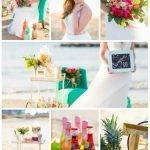 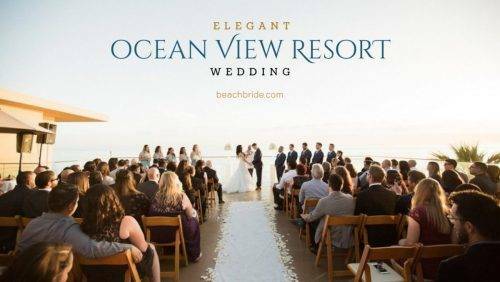 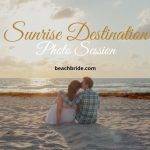 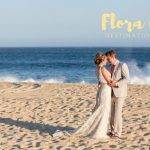 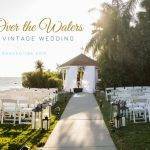 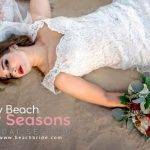 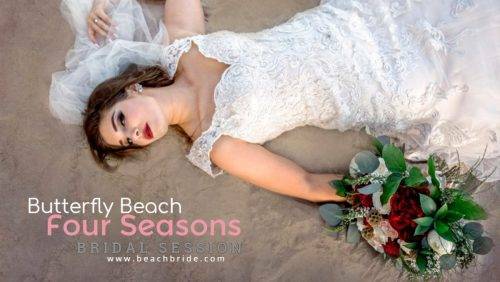 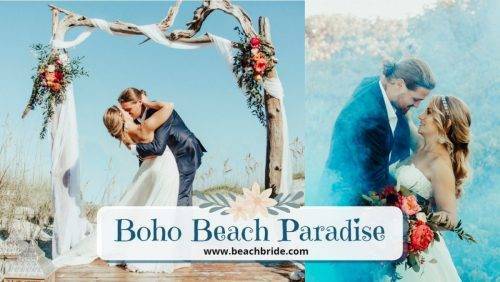 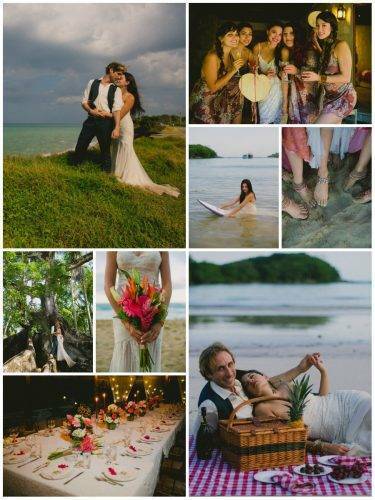 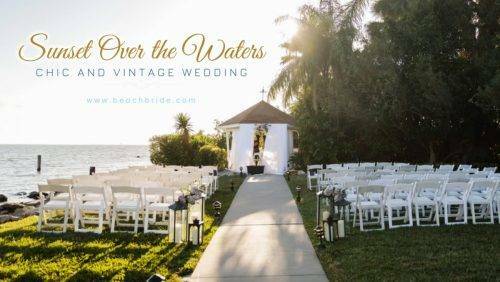 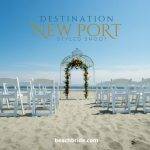 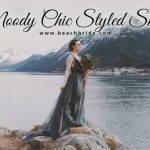 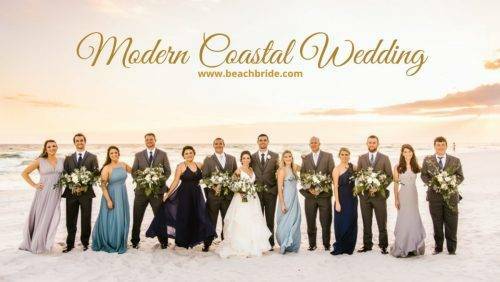 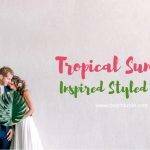 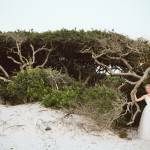 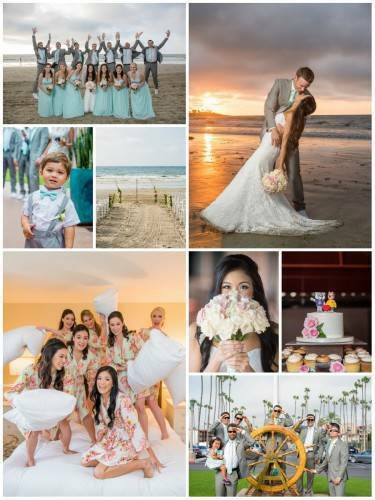 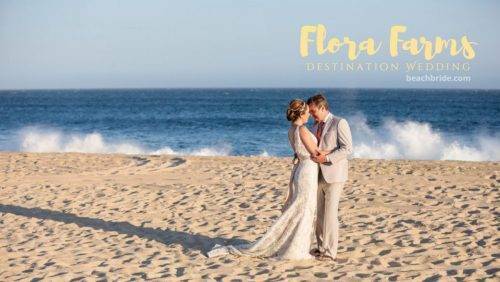 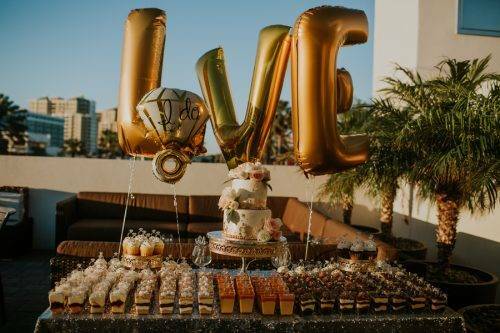 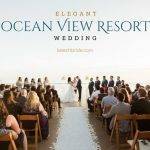 Whether you’re planning your beach wedding or you simply love the idea of gorgeous beach weddings, these amazing photos should inspire you and help keep you warmer during this chilly weather!